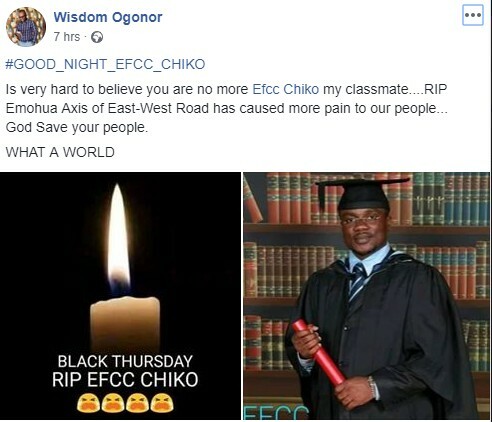 It’s a sad moment for the Peoples Democratic Party (PDP) as an executive and leader of Ahoada West Legislative Council, Rt Hon Efcc Chiko has died. 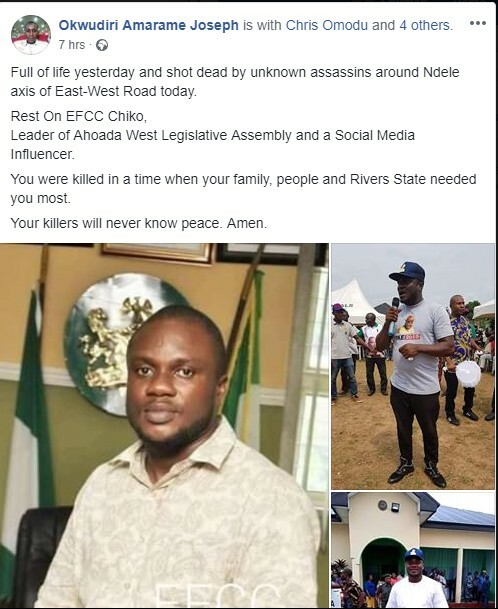 The dogged supporter of Rivers governor, Nyesom Wike, was shot dead on Thursday, January 31 (yesterday) by unknown gunmen who attacked the convoy of Hon. Okpokiri Nwanaka Okpokiri, member representing Ahoada West Constituency. 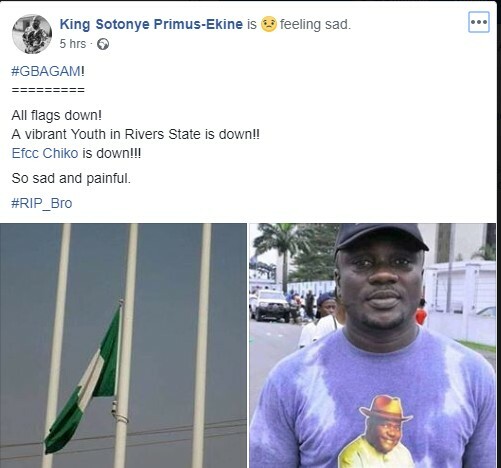 Residents of Rivers state are calling on the state government to step up security along major highways across the state such as Ndele- Rumuekpe- Rumuji- Emohua- Port Harcourt road, which has become a den of robbers/kidnappers. The latest attack is coming three days after some passengers travelling from Ughelli in Delta to Port-Harcourt, Rivers state capital, were attacked and kidnapped by gunmen along Ndele axis of the East-West road in Rivers state. 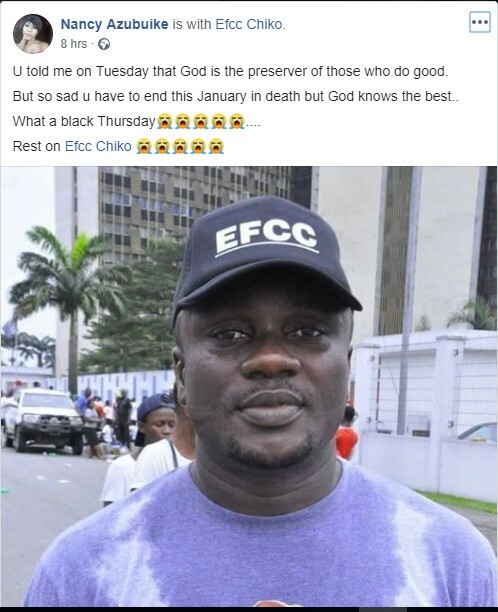 Friends of colleagues of the Efcc Chiko have taken to social media to mourn his death.